Well suited for a large family, the Emerson takes good care is its owners with a first floor bedroom suite boasting "his" and "her" closets plus a luxurious bath with separate vanities. 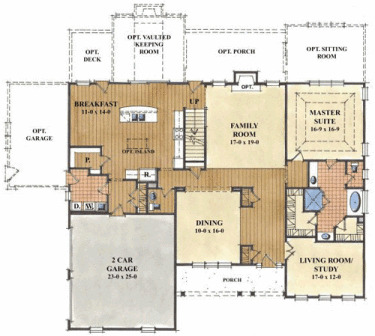 The main level also includes a formal dining room, front living room/study, large kitchen/breakfast room, two story family room and laundry off the kitchen. 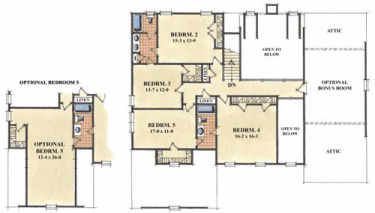 The upper level features 4 large bedrooms and 2 buddy baths. Directions From Annapolis: Take Aris T-Allen Blvd/MD-665 towards Riva Rd. Continue to MD-2 N Solomons Island Road exit towards Parole. Turn Right onto MD-2 N/Solomons Island Road. Continue on Route 2 South ( Solomon's Island Road ) to right at light on Bay Front Road - Rt. 258 West to community entrance on left after approx. 1 mile. From Baltimore: Take I-695 E/Baltimore Beltway Outer Loop toward Key Bridge/Glen Burnie. Merge onto 1-97 S via exit 4 on the left toward Annapolis/Bay Bridge. Take MD-665 exit towards Aris T Allen Blvd/Riva Road. Keep Right to take MD-665 S/Aris T Allen Blvd via exit 22 toward Riva Road. Take MD-2 N/Solomons Island Road exit towards Parole. Turn Right onto MD-2 N/Solomons Island Road. Continue on Route 2 South (Solomon's Island Road ) to right at light on Bay Front Road - Rt. 258 West to community entrance on left after approx. 1 mile.